Go wild with our bucket list of the most extraordinary animal encounters you can experience on safari in southern Africa. From the Big Five to the pink flamingo, speedy cheetahs to the African Wild dog you can see them all in South Africa. Here we reveal where in southern African desert and bush you can see them and the best time to go. We know that wildlife safari holidays in Africa can be very expensive. 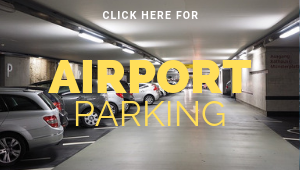 Fortunately, there are some cheaper options that offer the full safari experience and are run by trusted tour operators. Award-winning UK based tour operator On The Go Tours are running a “Falls, Deltas and Dunes” tour throughout 2019 which includes visits to all of the national parks listed in this article, as well as the amazing Victoria Falls in Zimbabwe. The tour sits comfortably between luxury and budget (you’ll still be sleeping in either hotels or comfortable safari camps). Prices start from just £3,095 per person and includes transportation in an overland expedition truck, accommodation, park entrance, most activities and some meals. Kruger National Park is arguably the most famous in Africa, and it covers an area the size of Wales. All the species you are likely to want to see on safari are represented here, many of them in big numbers. Kruger’s main attraction is the Big Five: elephant, rhino, Cape buffalo, leopard, and lion. Historically, these were the animals most highly prized by trophy hunters, and they’re still amongst the most exciting animals to encounter up close on a game drive. You’re less likely to want to meet them on foot! 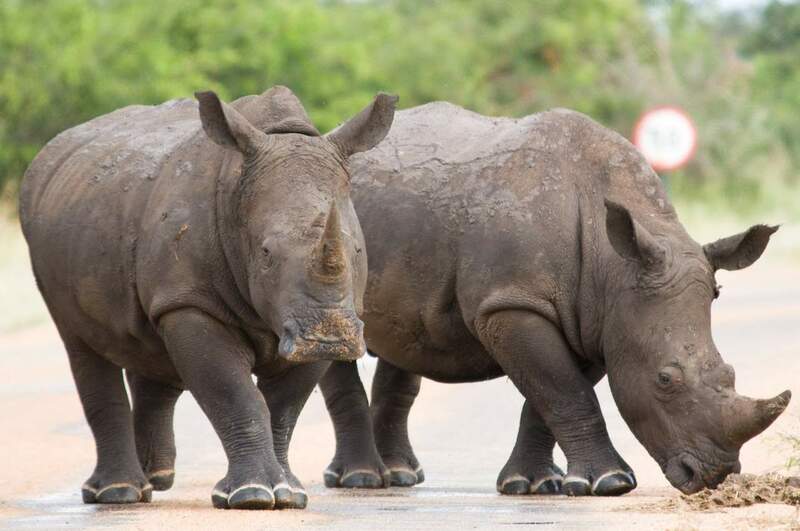 Conservation credentials: Kruger, one of the oldest national parks in the world, and is home to several endangered species such as the rhino, African wild dog and Martial Eagle. The park employs “rhino bodyguards” to help protect the animals from poachers. Best time to visit: It is easier to spot the animals during the dry season during May to September when the the bush thins out, and at this time animals congregate around waterholes and rivers. 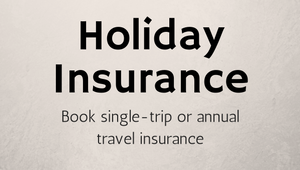 If you can, avoid July and August as this is high season (coinciding with school holidays). Kruger National Park is part of the “Falls, Deltas and Dunes” tour with On The Go Tours. Botswana has the largest African elephant population in the world (around 130,000). Known for their intelligence and complex emotions these social creatures are able to express joy, anger, grief, compassion and love. They use their trunks to communicate and handle objects. The females form family units of ten or so, led by the “matriarch”. The smaller bachelor herds only join the female group to mate. The delta offers a permanent source of water, and you may spot elephants as they gather to drink, bathe and frolic. 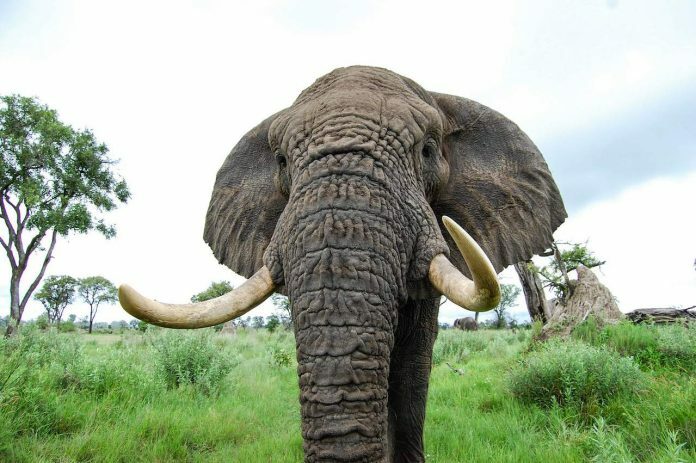 Conservation credentials: Elephants are poached by hunters for their ivory and this has become a serious issue. Local foundations such as the “Elephants for Africa” strive to protect future generations of elephants from this cruel fate through research and education. Best time to visit: September and October are the best time to see elephants at the Okavango Delta as they congregate in large numbers around diminished watering holes. Botswana Okavango Delta is part of the “Falls, Deltas and Dunes” tour with On The Go Tours. There are only around 6,600 African wild dogs in the wild. They native to sub-Saharan Africa and their population is declining. 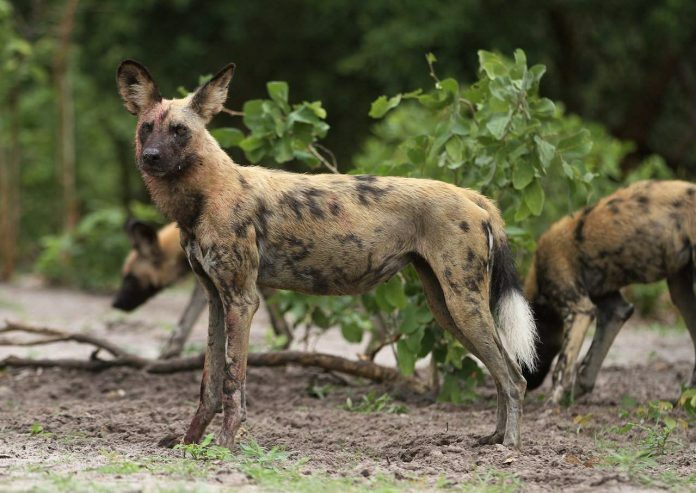 You do, however, stand a good chance of seeing African wild dog in Chobe National Park. They are social animals and tend to hunt in a pack around dusk, so look out for them leaving their dens or pursuing prey when you are out on your afternoon game drive. Conservation credentials: Africa wild dogs are in decline due to habitat loss and human-wildlife contact – they are blamed (often unfairly) for killing livestock. The African Wildlife Foundation employ scouts from local communities to monitor the wild dogs and alert herders if they are nearby. The foundation also help herders build livestock enclosures (called bomas) to protect the livestock from predators. Best time to go: Chobe National Park changes dramatically with the seasons and can be visited all year round. Most people choose the dry season (May to November) when it is easier to spot the animals. Visit during the wet season (December to April) if you’re keen on bird watching. Chobe National Park is part of the “Falls, Deltas and Dunes” tour with On The Go Tours. The Namib Naukluft National Park is the largest conservation area in Africa and though arid the animals have evolved to cope with the long periods of drought. The elephants here dig wells with their trunks; other animals such as giraffe, rhino, and even lions know to follow behind and drink where the elephant have dug. There are four main areas: Sossusvlei and Sessriem, Naukluft, Namib section and Sandwich Harbour. The towering sand dunes are home to all sorts of tiny creatures including geckos and unusual insects such as the Namib Black Long-legged beetle. 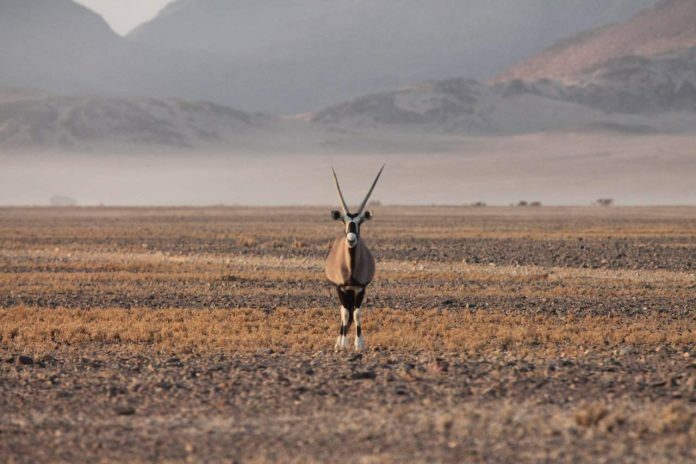 Conservation credentials: Namib Naukluft National Park is the largest nature conservation in Africa, and the fourth largest protected park in the world. Best time to go: The Namib desert is one of the world’s driest deserts, and is most pleasant to experience in April and May, where it is fresh and largely free from dust. June to August are cooler, while September and October tend to be dusty. Namib Naukluft National Park is part of the “Falls, Deltas and Dunes” tour with On The Go Tours. Namibia is largely a desert, but in Etosha there are plenty of pans which retain water, which is why the birdlife is so rich. You can expect to see white pelican and pink flamingo, hornbill, ostrich, and stork, plus dozens of other colourful species which have adapted to this unique ecosystem. 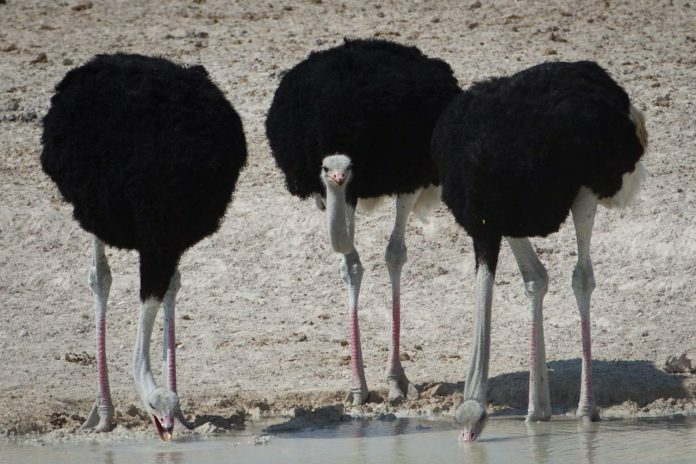 Conservation credentials: The Etosha Ecological Research Institute attracts scientists from around the world to monitor water provision and advise on building artificial watering holes. Anti-poaching patrols are conducted by the Wildlife Protection Services by vehicle. Best time to go: The best time for birding in Etosha is in summer when the pans are full and thousands of flamingo come to breed. Etosha National Park is part of the “Falls, Deltas and Dunes” tour with On The Go Tours.